“This book was a labor of love, and I’m excited to present it to you. Only portions, or excerpts, of the individualized photo-stories shown within these covers have previously appeared in select – but limited – media around the world. Readers of this book will be the first to see the pieces as a full collection. 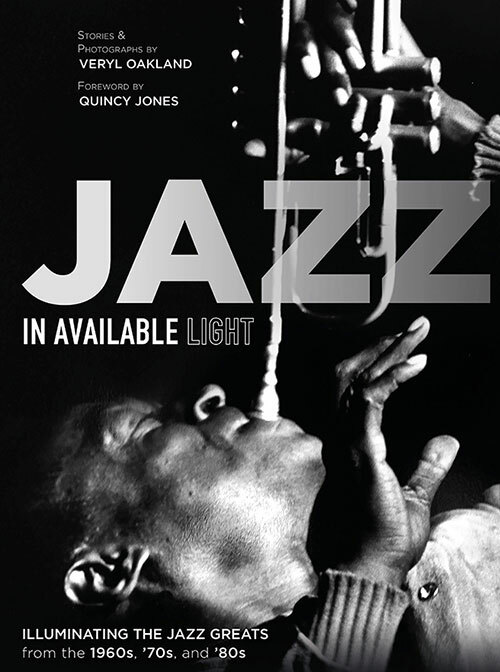 And while astute jazz followers will recognize a good number of my photographs used within these pages – having seen them in other jazz books and publications over the past 50+ years – scores of them have never before been published. I consider myself supremely fortunate to have had the opportunity to be in the midst of, interact with, and get to know, so many of our jazz giants, virtually all of whom have left a treasure trove of critically important works of lasting value through their recordings. The voluminous contributions of these great artists, their like-minded musical brothers and sisters, and the masters who came before them, are truly incalculable. “Your book is absolutely stunning – the images, your text, your deep understanding and respect for the music and the musicians, and the gorgeous book design. Nothing I've seen in jazz books comes close.